Shipped orders-The term of this Lease shall commence on the day the equipment has been delivered or the first attempt was made by UPS to deliver the item. The equipment must be shipped to Lessor before the last pick up of the day on the last day of the associated rental period. Local orders The term of this lease shall commence on the day and time the equipment is picked up and will expire on the last day and time of the associated rental period. The equipment must be returned to Lessor during regular business hours by the scheduled time on the last day of the rental period. Failure to return rental property or equipment upon expiration of the rental period and failure to pay all amounts due (including costs for damage to the property or equipment) are prima facie evidence of intent to defraud, punishable in accordance with section 812.155, Florida Statutes. Lessee is responsible for shipping the Equipment back to Lessor. Lessor currently ships five days a week (Monday through Friday). Lessor will send Lessee an email at the email address Lessee has provided when Equipment is shipped. Lessor will send Lessee an email at the email address Lessee has provided when Equipment rented by Lessee is returned. Lessor will only ship to verified addresses within the US. Lessor will not ship to a hotel and or a resort of any kind. Lessor cannot guarantee when an order will arrive. Consider any shipping or transit time offered by Lessor or other parties only as an estimate. Lessee is encouraged to order in a timely fashion to avoid delays caused by shipping and or holidays. Both the outbound (from Lessor to Lessee’s premises) and inbound (from Lessee back to Lessor) shipping charges for the order will be paid in advance and in full. It is the sole responsibility of the Lessee to obtain a receipt when shipping a package back to Lessor. Packages cannot be dropped off in a drop box since a receipt will not be available. If a package is deemed lost, not accounted for or not dropped off or picked up and the Lessee fails to prove shipment with a receipt, Lessee is liable for the retail cost of items rented. Lessee may cancel a pending reservation up to 24 hours prior to order shipment or pick up. Failure to do so will result in a 1 day rental (prorated off the 3 day rate) for all Equipment charged to your card. Lessee may cancel within 24 hours of placing an order with no fees or penalties, as long as order has not shipped. Canceling a shipped order will result in extra fees. Lessee may cancel an order once it has shipped but such cancellation will be subject to full refund minus: 1 day rental rate + round trip shipping + cost damage waiver (if applicable). Lessor reserves the right to cancel any order at any time before delivery occurs at its sole discretion. Your receipt of an electronic or other form of order confirmation does not signify Lessor’s acceptance of Lessee’s order, nor does it constitute confirmation of Lessor’s offer to rent. Lessor reserves the right at any time after receipt of Lessee’s order to accept or decline Lessee’s order or to supply less than the quantity Lessee ordered of any item for any reason. By checking the “Place Order” button, you authorize Lessor to obtain an ID/Age and background verification check prior to acceptance of the order of at any time prior to your complete performance under this Lease. Additional Requirements: Lessor reserves the right to request a Certificate of Insurance or a full retail deposit on any order and for any reason. Certificate of Insurance must list IPG Rental.com, LLC as the Loss Payee and cover the replacement value of the rental equipment. Lessor shall keep the Equipment in good repair, condition and working order and shall furnish any and all parts, mechanisms and devices required to keep the Equipment in good mechanical working order. Lessee shall not in any way repair or alter the physical or other makeup of the Equipment. Lessee hereby assumes and shall bear the entire risk of loss and damage to the Equipment from any and every cause. No loss or damage to the Equipment or any part thereof shall impair any obligation of Lessee under this Lease which shall continue in full force and effect through the term of the Lease. In the event of damage of any kind to the Equipment, Lessee agrees to allow Lessor to charge Lessee’s credit card for the full cost of repair of said damaged Equipment. Lessor expressly reserves the right to choose the repair method and venue, within reasonable market value terms. Lessee and Lessor agree to be bound, legally and otherwise, by the report of Lessor’s chosen repair venue as to the cause of the damage to the Equipment. Damage or Loss of the equipment during the rental period is entirely the renter’s responsibility. If the renter has not notified IPG Rental.com LLC of damage within 3 hours of receiving the equipment, both parties agree the equipment was received in good working order. 1. In the event of loss, loss without explanation and or stolen equipment or default, customer agrees to pay the full retail cost of the equipment to Lessor plus an additional 3% to cover credit card transaction fees. 2. In the event of damage to the equipment, customer agrees to pay 100% of actual repair costs(plus 20.00 for shipping to the repair facility) deemed necessary by the appropriate factory service center or the replacement cost if not repairable. If you do select the damage waiver and the item is repairable, you would be responsible for 10% of the replacement value OR the cost of the repair itself plus shipping to the repair facility, whichever is less. C. In the event that customer claims the equipment “failed” rather than was damaged, the report of the factory service center will be considered binding concerning equipment failure or damage. 1. It is strongly suggested that customers obtain the damage waiver on the item for the duration of the rental period. Minor scratches to the lens barrel and hood are considered the results of ordinary wear and tear and will not result in damage assessments. Scratches to the glass, damage to the coupling or any other part that affects the lens', cameras’, accessories’ performance will be considered damage and will result in a charge of 100% of the actual repair costs or the value of the equipment if not repairable. Our acceptance of equipment on return (shipped or local pick-up) is not a waiver by us of any claims for damage to the equipment. E. Water and or liquid damage of any sort is not covered by the optional damage waiver. In the event of loss, loss without explanation, stolen, unreturned, damaged beyond repair (including any liquid damage of any sort) or default, Lessee agrees to allow Lessor to charge Lessee’s credit card for the full retail price of a comparable substitute of Equipment based on current pricing from IPG Rental bhphoto.com plus an additional 3% to cover credit card transaction fees. The full retail price of a comparable substitute will be charged in addition to the late fees assessed prior to deeming the Equipment “lost” or “unreturned.” If the overdue charges are denied by the Lessee’s credit card, and the Lessee has not contacted Lessor regarding the overdue rental, the Lessee understands that Lessee's account will be turned over to the appropriate authorities for prosecution. Failure to return rental property or equipment upon expiration of the rental period and failure to pay all amounts due (including costs for damage to the property or equipment) are prima facie evidence of intent to defraud, punishable in accordance with section 812.155, Florida Statutes. Equipment is deemed to be “unreturned and stolen” when Lessee has failed to ship, or drop off (if picked up locally) Equipment to Lessor within three (3) days of expiration of rental term. If Lessee returns original Equipment, in undamaged state, to Lessor within five (5) days of expiration of Term, the charge to Lessee’s credit card for the price of a comparable substitute will be refunded to Lessee by Lessor and a late fee will be charged to Lessee’s credit card. After five (5) days, all sales are final. It is the Lessee’s responsibility to get a receipt from UPS when dropping off a package for shipment back to the Lessor to validate actual shipment. Late returns. In the event of a late return, Lessee agrees to allow Lessor to charge Lessee’s credit card for the appropriate late fee. Late fees will be calculated at the one day rate per item per day. Rentals not dropped off or shipped back on a Friday will automatically be extended at the 3 day rental rate. An order is considered late if the Equipment is not returned on the due date and Lessee and Lessor have not agreed to an extension of the rental period. Renter agrees that said fee will be charged to the same credit card used for the rental purchase. If the overdue charges are denied by the Lessee’s credit card, and the Lessee has not contacted Lessor regarding the late fees, the Lessee understands that Lessee's account can be considered stolen and turned over to the authorities under Florida statute 812.155 as detailed above. IPG Rentals offers Lessee the option to purchase damage waiver for unintentional damage to the Equipment during the Rental Period. The determination of whether damage is unintentional and not abuse is at the sole discretion of IPG Rentals. In the event of damage covered by this insurance, the insured Lessee will pay IPG Rentals a deductible amounting to 15% of the value of an item in similar condition to the Equipment rented to Lessee. Valuation of the Equipment is within the sole discretion of IPG Rentals. As a guideline the following types of damage are not normally considered to be covered by damage waiver and the lessee remains fully liable for the cost of replacement or repair to the equipment. Any estimate of availability provided by Lessor is based on the assumption that each of Lessor’s customers returns Equipment within prescribed term period. Upon the expiration or earlier termination of this Lease, Lessee shall return the Equipment to Lessor in good repair, condition and working order, ordinary wear and tear resulting from proper use thereof alone excepted, by delivering the Equipment at Lessee's cost and expense via the shipping method of Lessor's choice. Ordinary wear and tear is to be determined at the discretion of the Lessor within the confines of the reasonably common and ordinary meanings of those terms. Lessee will be responsible for proper packaging of the return shipment using shipping and packaging materials as provided by Lessor in the order shipment. Lessor’s acceptance of the Equipment upon return by Lessee shall not represent Lessor’s determination as to condition of Equipment upon return. Lessor reserves the right to accept Equipment upon return by Lessee and make determinations regarding the condition of the Equipment within a reasonable amount of time. Lessor’s determination as to the condition of the Equipment upon return by Lessee is binding under this Section and Section 11 (“Lost, Damaged, or Unreturned Equipment.”). 15. Drone Rental Lessee agrees that they will operate the Drone in accordance with IPG Rental.com Rental Agreement, operating guidelines and in accordance with Federal Aviation Administration (“FAA”) guidelines. Lessee shall not operate any Drone for non-hobby or non-recreational purposes without prior FAA authorization. Lessee shall operate the Drone in accordance with the FAA’s safety guidelines. Lessee has read and understands the statutory parameters of operation of the Drone as outlined in Section 336 of the FAA Modernization and Reform Act of 2012. Lessee agrees to indemnify and hold IPG Rental.com and its representatives harmless for any and all damages and claims arising out of or relating to any violation of this provision. IPG RENTAL.COM SHALL NOT BE RESPONSIBLE FOR ANY DAMAGE, INJURY OR DEATH ARISING FROM ANY ACT OR OMISSION IN CONNECTION WITH LESSEE’S POSSESSION, USE, OPERATION, MANAGEMENT OR MAINTENANCE OF THE LEASED DRONE. LESSEE SHALL INDEMNIFY AND HOLD HARMLESS THE IPG RENTAL.com FROM AND AGAINST ANY AND ALL LIABILITY, LOSS, COST, ACTIONS OR CAUSES OF ACTION, CLAIMS OR EXPENSE SUSTAINED BY THE b IPG RENTAL.COM, INCLUDING ATTORNEY’S FEES AND OTHER EXPENSES OF LITIGATION, ARISING OUT OF, CONNECTED WITH OR RESULTING FROM THE LESSEE’S USE OF LEASED DRONE EVEN IF LIABILITY FOR THE DAMAGE, INJURY OR DEATH IS ALLEGED OR FOUND TO BE PARTIALLY THE RESULT OF IPG RENTAL.COM NEGLIGENCE. THE CONTENTS OF IPG RENTAL.COM WEBSITE, AND THE EQUIPMENT LESSOR DELIVERS ARE PROVIDED "AS IS." LESSOR MAKES NO REPRESENTATIONS OR WARRANTIES, WHETHER EXPRESS OR IMPLIED, OF ANY KIND ABOUT EQUIPMENT’S ACCURACY OR FUNCTIONALITY. LESSOR ASSUMES NO LIABILITY OR RESPONSIBILITY FOR ANY ERRORS OR OMISSIONS IN THE CONTENT OF IPG RENTAL.COM WEBSITE, FOR ANY FAILURES, DELAYS, OR INTERRUPTIONS IN THE DELIVERY OF ANY CONTENT CONTAINED ON IIPG RENTAL.COM WEBSITE, FOR ANY LOSSES OR DAMAGES ARISING FROM THE USE OF THE CONTENT PROVIDED ON THELENSDEPOT.COM WEBSITE, OR FOR ANY CONDUCT BY USERS OF THELENSDEPOT.COM WEBSITE. TO THE FULL EXTENT PERMISSIBLE BY LAW, LESSOR DISCLAIMS ALL REPRESENTATIONS AND WARRANTIES ABOUT THE EQUIPMENT LESSOR DELIVERS, INCLUDING, FOR EXAMPLE, WARRANTIES OF MERCHANTABILITY, FITNESS FOR A PARTICULAR PURPOSE, AND NON-INFRINGEMENT. IN ADDITION, LESSOR DOES NOT REPRESENT OR WARRANT THAT THE INFORMATION ACCESSIBLE VIA THELENSDEPOT.COM WEBSITE IS ACCURATE, COMPLETE, OR CURRENT. PRICE AND AVAILABILITY INFORMATION IS SUBJECT TO CHANGE WITHOUT NOTICE. IN NO EVENT SHALL IPG RENTAL.COM, LLC BE LIABLE TO LESSEE FOR ANY SPECIAL, INCIDENTAL, INDIRECT, OR CONSEQUENTIAL DAMAGES OF ANY KIND, OR ANY DAMAGES RESULTING FROM LOSS OF USE, DATA, OR PROFITS, WHETHER OR NOT ADVISED OF THE POSSIBILITY OF DAMAGE, AND ON ANY THEORY OF LIABILITY, ARISING OUT OF OR IN CONNECTION WITH THE USE OR PERFORMANCE OF ANY EQUIPMENT OR THE INFORMATION ON LESSOR’S WEBSITE. WHILE LESSOR WILL MAKE A REASONABLE EFFORT TO RETURN ANY NON-LESSOR PROPERTY IT RECEIVES, LESSOR WILL NOT BE LIABLE FOR ANY LOSSES OF OR DAMAGE TO SUCH PROPERTY. Lessee shall indemnify and save harmless Lessor against all loss, damage, expense and penalty, including reasonable attorneys fees, arising from, related to, or connected with any action on account of any injury to person or property of any character or arising under any theory of commercial or contractual damage, occasioned by the operation, handling or transportation of the leased Equipment during the Term or while the Equipment is in the possession or control of Lessee. If Lessee fails to observe, keep or perform any other provision of this Lease required to be observed, kept or performed by Lessee, Lessor shall have the right to exercise any one or more of the following remedies: A. To declare the entire amount of rent hereunder immediately due and payable without notice or demand to Lessee. B. To immediately take possession of Equipment without notice or demand to Lessee. C. To sue for and recover all rents, and other payments, including lost rental income, then accrued or thereafter accruing, together with its costs, attorneys’ fees and litigation costs associated with or arising from any such default. D. To terminate this Lease. E. To pursue any other remedy at law or in equity. Notwithstanding any repossession or any other action which Lessor may take, Lessee shall be and remain liable for full performance of all obligations to be performed under this Lease. All of Lessor's remedies are cumulative, and may be exercised concurrently or separately. It is the policy of IPG Rental.com, LLC to respect the intellectual property rights of others. 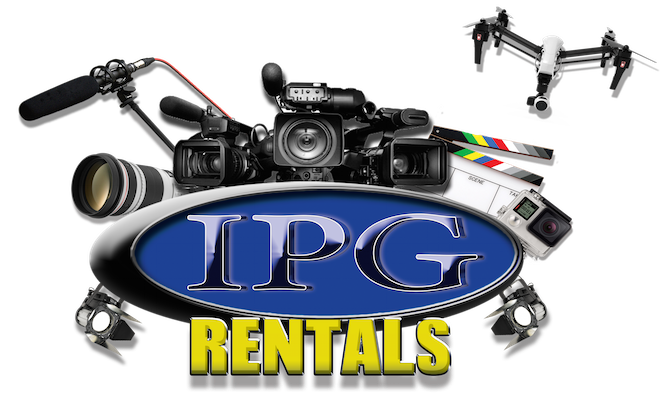 IPG Rental.com, LLC does not promote, foster, or condone the copying of photographs or any other infringing activity. This Lease shall be construed and enforced according to laws of the State of Florida. Lessee and Lessor agree that the United States District Court for the Middle District of Florida and/or the Circuit Court for the County of Seminole, Florida shall have exclusive jurisdiction over any dispute between you and IPG RENTAL.com, LLC relating in any way to the IPG RENTAL.COM service or website or this Agreement. They are not assumed until a confirmation is e-mailed back to the Lessee. All other policies set forth will apply as well as the original acknowledgement to this agreement. 29. Exchanges. If for any reason IPG Rental.com LLC DBA as IPG Rental.com sees fit to exchange an item midway through the lease rental period all policies set forth will apply as well as the original acknowledgement to this agreement. Missing items that were included with the rental shall be returned in good working order and with the leased equipment. Failure to return caps (front and rear), hoods, battery chargers, batteries, camera eye pieces, camera covers, pelican cases, UV filters, shall result in the Lessor automatically charging the Lessee’s card on file for the replacement value. These items are not covered under the optional damage waiver. IPG Rental.com, LLC reserves the right to cancel any order for any reason, including price mistakes. These Terms and Conditions will supersede any other terms and/or conditions. Lessor reserves the right to make changes to this site and these Terms and Conditions at any time.